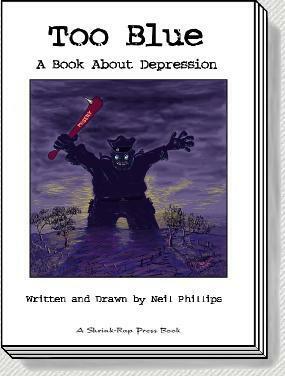 Neil Phillips is a psychiatrist and cartoonist. He publishes illustrated, cartoon books on mental health. He started off illustrating childrens books, then illustrated one for a fellow psychiatrist on the subject of OCD, and from these beginnings Shrink Rap press grew and has now put out 6 books.